STAR PERFORMANCE. NOW TUNED FOR SURF. 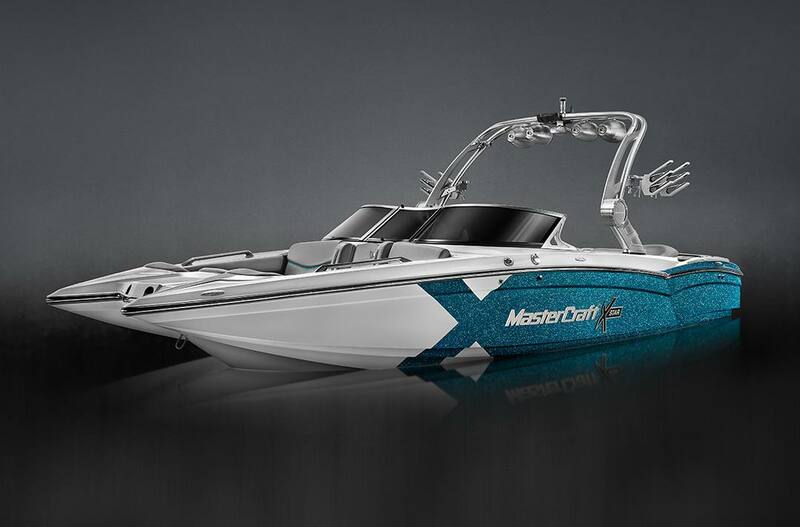 The XStar pairs aggressive styling with unparalleled performance for a wakeboard boat like no other—that can roll a serious surf wave too. When you want every advantage possible, this is the only choice. 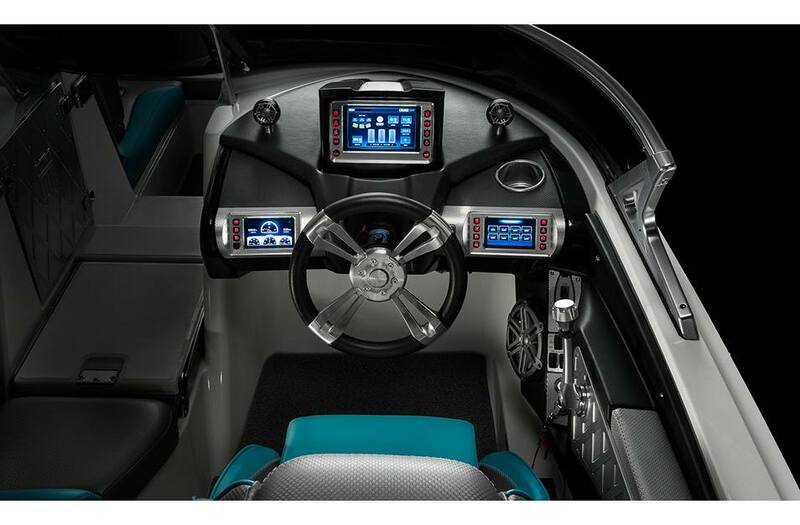 Command Center: Triple touchscreen interface featuring a center-mounted Murphy 7-inch and dual 4.3-inch screens providing the driver access and control to the entire boat. Complexity, simplified. 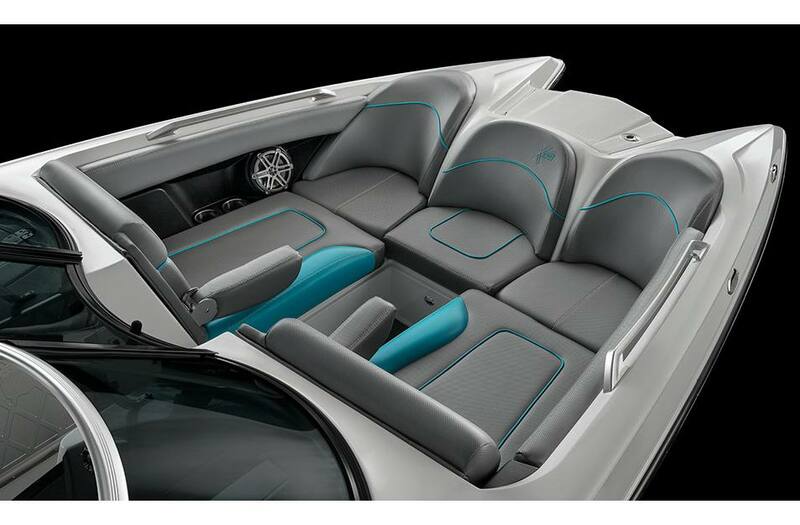 Aft Lounge: Every stitch and sculpted groove has been thoughtfully redesigned for maximum enjoyment and ease of use. Breathtaking and efficient. 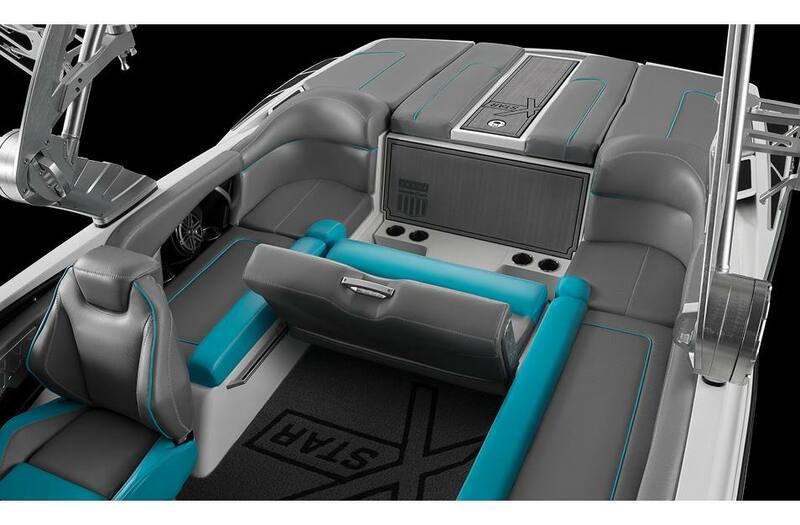 Flip Down Lounge: The lounge features a convertible seat allowing guests to reverse the angle —the perfect spot for filming wake action. 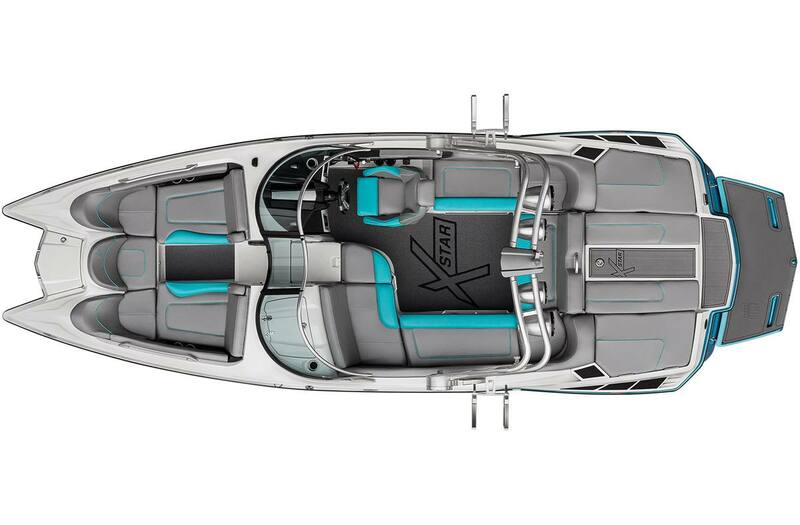 Transom Seating: For those about to rip, we salute you. 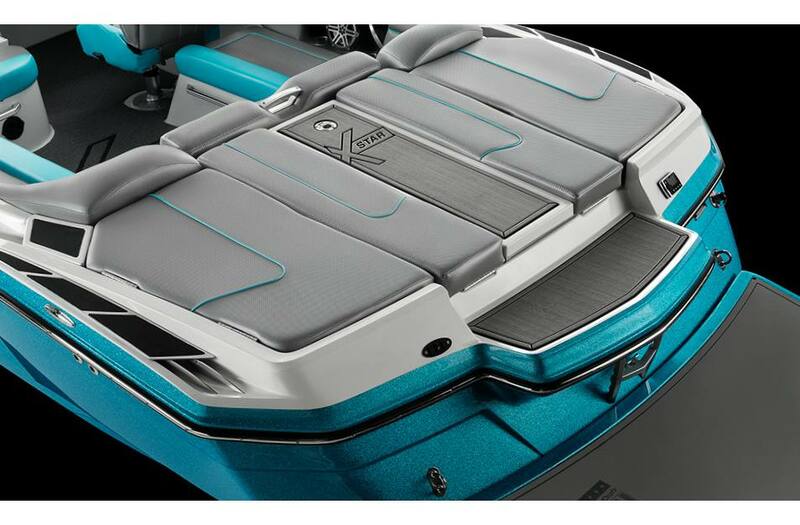 A non-skid seat/step combo atop the transom makes the transition in and out of the water safer. The swim platform has been rounded for easier entry into the water while strapped to your board. Customize, Don't Compromise: Our incomparable Gen 2 Surf System is the only way to make endless clean waves with three distinct zones–different enough to fit every style. 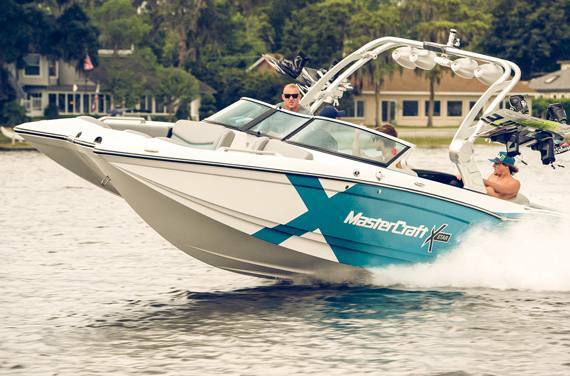 Beastly: XStar features our biggest and baddest engine: a 7.4 L Ilmor V8. This thing is mean. Board It: Under the rotocast observer seat is easily accessible and fully carpeted storage for all your accessories–even surfboards. Bow Seating: Put the treat in retreat and spend time in the redesigned, radically plush twin-tip bow lounge seats. 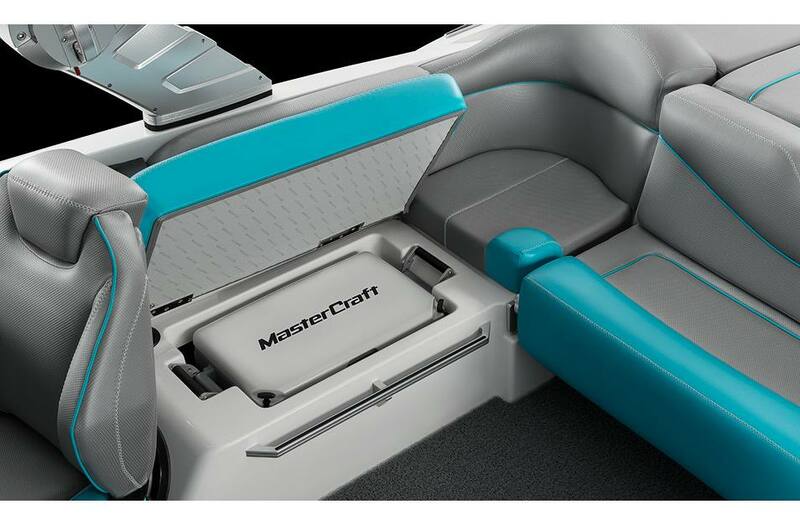 Comfort Meets Function: Beneath every supple seat is high volume, fully carpeted storage for all the stuff that counts. Cooler: Flip up the rear seat and find an integrated Igloo cooler to keep your drinks chilled to perfection.